Let’s be honest: some days are slightly more fun than others. Thursday 28thMarch was one of those days, where the Illuminance team had plenty to celebrate. 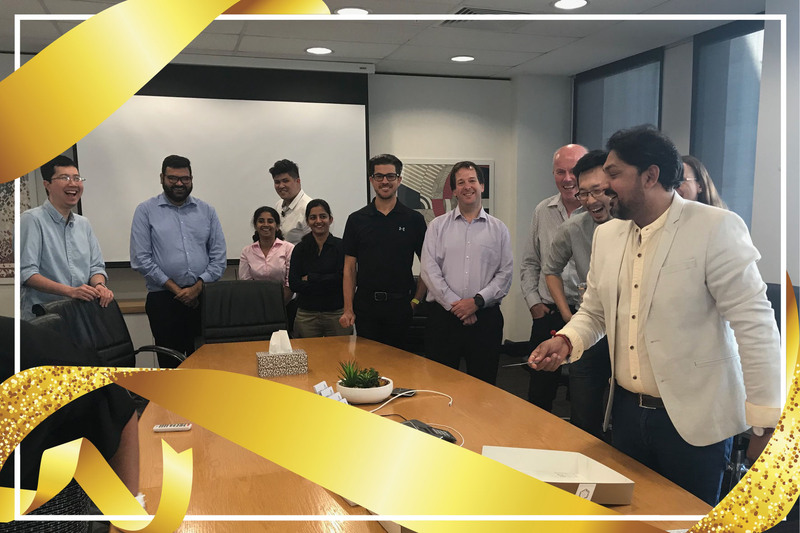 For one, it was both our CEO’s birthday and our Junior Project Managers’ birthday. Congratulations to Nilesh and Mihi! Second, we welcome Swetha to our team! With years of experience in the field and with vast knowledge, we are confident that she will be an amazing addition to our stable of expertise and service offering. Third, Tahlia from UWA joined us for her internship at Illuminance! Earlier this month, Illuminance Training collaborated with University Hall to give a one-day course; “Office 365 in the Workplace” to a group of Aboriginal and Torres Islander youth currently studying at the university. The training and unique collaboration aims to equip the youth with essential job-readiness skills in current technology designed to assist in organising information, collaborating and communicating, thus improving personal and professional productivity. Tahlia completed the course with flying colours and will be an intern at Illuminance once a week for the next few months, where our team will do their best to teach her all that she desires and she will contribute to our team with her enthusiasm and fresh knowledge from uni. He chose a very good day to have her first day as part of the Illuminance office and we all welcome her warmly. A very happy Illuminance Team, just minutes before the feast. We were so lucky to enjoy both the most amazing Indian meal and wonderful cake from The Honeycake in Perth! Mihi blew out both candles by mistake. Two wishes for her, and none for Nilesh! Our dear Test Analyst Kusum are sadly leaving us this week. She has decided to move on in her career and we truly wish her all the best for her continued journey. Kusum has made sure that many projects were delivered free of bugs and her quality control has helped us raise our standards and deliver even better solutions for our clients.